Like I mentioned below, Halloween festivities have been rescheduled for Saturday as our area cleans up from the devastation of Hurricane Sandy. I'm happy to report that we were able to return to our home today to find it exactly as we left it. We feel very fortunate that we didn't have any major damage, but many people in our town weren't as lucky. And those at the Jersey shore? The devastation there is heartbreaking. 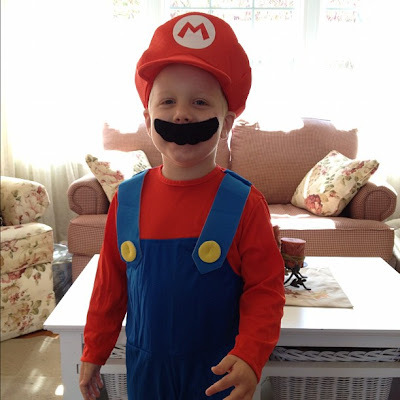 My little blue-eyed, blonde-haired Mario. So convincing, right? He's so happy. Carter Man loves Halloween! Brynn, however? Not so much. That was her the moment we put on her witch costume for my niece's first birthday party. 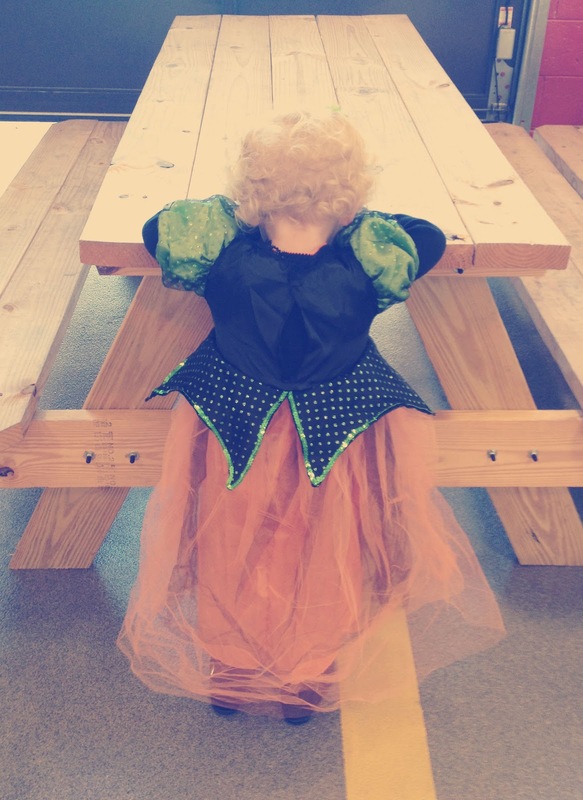 She loves Halloween about as much as I do. Ahem. Oh, no worries, she cheered up again. 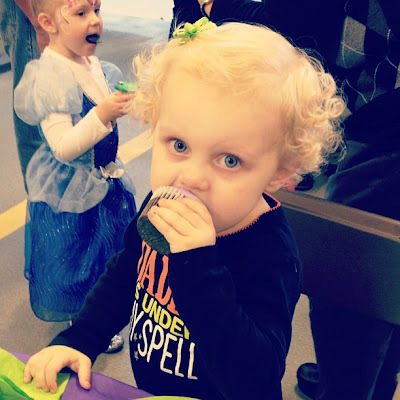 When we took her costume off and she got a cupcake. And then there's Reid. The cutest little giraffe my eyes did ever see. The giraffe costume is adorable! Glad you are safe and had minimal damage! Good thing everything is alright there! I love these pics, esp the giraffe. Yes, adorable!! i think im like Brynn and i love the little girraffe!!! I just have to say that I love the curls! So adorable! I love the little one in the giraffe outfit... what a complete cutie! 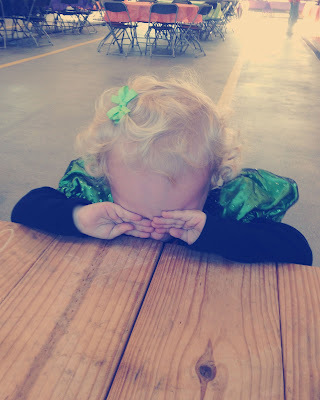 I love Brynn's pouting pictures! 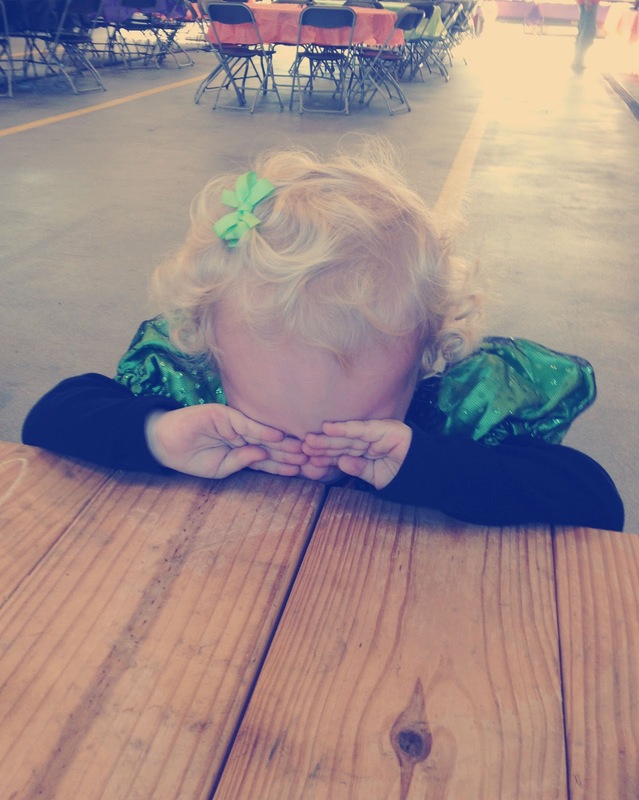 They are so cute at that age, even when they are being uncooperative! SO glad everyone is safe and so is your place!!! Wow, what a crazy storm it's been. Praying for all those affected. And cute little kiddos!! Love that giraffe. Cupcakes always make it better in my book. Girl after my own heart! Your little giraffe is SO ADORABLE! 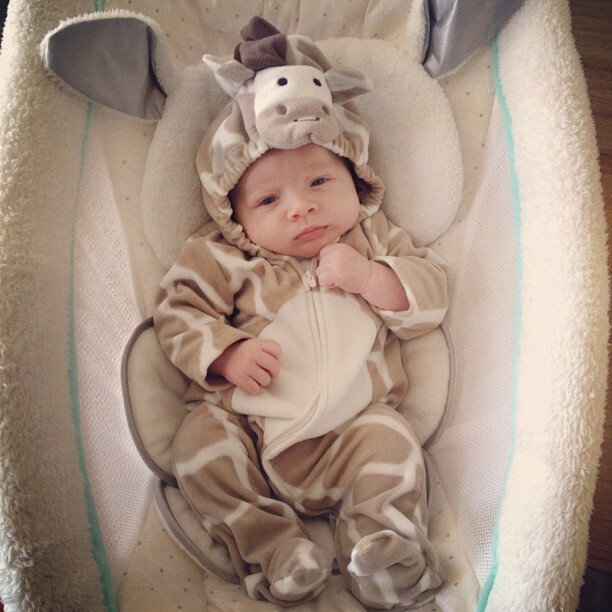 my lil man is going to be a giraffe too!! its not the exact same costume but pretty close! Awww, that is a darn cute giraffe!! So, I have a question. I am not attempting to start an argument or be rude in anyway but I was highly offended last year when you posted about your annual family vacation to the Outer-banks of NC was interrupted by a hurricane. You wrote about and came across very annoyed that there were still boards up on your rental vacation homes windows only a few short days after that storm devastated the area. So my question, now, is do you feel differently? Do you feel more sympathetic toward those North Carolinians that were devastated by that Hurricane similarly to how you feel about your home state being ripped apart? Do you regret acting so selfishly regarding your vacation homes windows while innocent people were still trying to pick up the pieces and put their lives back together? Really puts things in perspective when you get the opportunity to walk in someone elses shoes. I am thankful that you, as well as many others were able to get through the storm safely. We must remember to pray for all of those affected by Hurricane Sandy as well as those affected by past hurricanes who are still trying to get back on their feet. @ Anonymous- No, I do not feel differently. I was sympathetic then and I'm just as sympathetic now. But thanks. such cute photos!! love the little giraffe as well!! so glad to hear you are safe and your home is intact!! I am not saying you weren't sympathetic. But I do think that people feel differently, I doubt that you or anyone else would appreciate vacationers on the Jersey Shore angry the vacation homes aren't perfect. Lovely photos! I always enjoy coming to your blog.